Welcome to TDA’s code documentation! To join the group go to tasoc.dk and sign up for CA-1, you can then via our wiki read more about the work of the group and how to contribute. If you have any questions about the group, the work, or how to contribute, do not hesitate to contact the working group chairs: Mikkel Lund and Rasmus Handberg. Do basic calibrations of raw data. Define stellar apertures and extract flux. Correct light curves for instrumental features. All software and data products developed under T’DA will be open-access. We request that, if a specific paper is based on published data analysis or stellar classification for a specific target or group of targets done under T’DA, the relevant T’DA Coordinated papers and papers that significantly (as evaluated by the T’DA Steering Committee) contribute to these are cited in the work. This mean that if people use results from T’DA then they should cite the relevant coordinated paper, as well as papers that contribute significantly to this. It is encouraged that members who contribute methods that will be incorporated in the overall T’DA pipeline(s) publish independent papers on their specific contribution. The list of papers that should be cited given the use of a specific T’DA data product will be specified fully on the TASOC website. 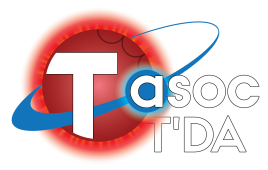 We request that observers contributing ground-based data to the T’DA-led effort of verifying the timestamps from TESS are offered co-authorship on papers focusing on TESS timing verification where part of these ground-based data has been used. We request that, if a specific paper requires data prepared with a custom treatment of a specific target or group of targets, the T’DA members involved in this treatment should be offered co-authorship on the paper. The coordinated papers are seen as “first-light” papers, which means that papers dealing with any of the tasks covered by the T’DA Coordinated Activity should only be published using bona fide TESS data or using the T’DA pipeline(s) (except for components to the pipeline(s) that were directly contributed by the authors) after the publication of the relevant coordinated paper(s). In other words, any paper dealing with T’DA related tasks can be published before the coordinated paper(s) as long as bona fide TESS data is not used (but using instead, e.g., simulated data or data from another mission). If you have any questions regarding the T’DA policies, please contact the working group chairs: Mikkel Lund and Rasmus Handberg. You are more than welcome to contribute to this code! Please contact Rasmus Handberg or Mikkel Lund if you wish to contribute.